Last comment was posted 1 hour, 8 minutes ago. « Food Plate? Try the new Drink Pyramid. My favorite gin-based tiki drink will always be the Luau Scorpion, though the Winchester is pretty good as well. 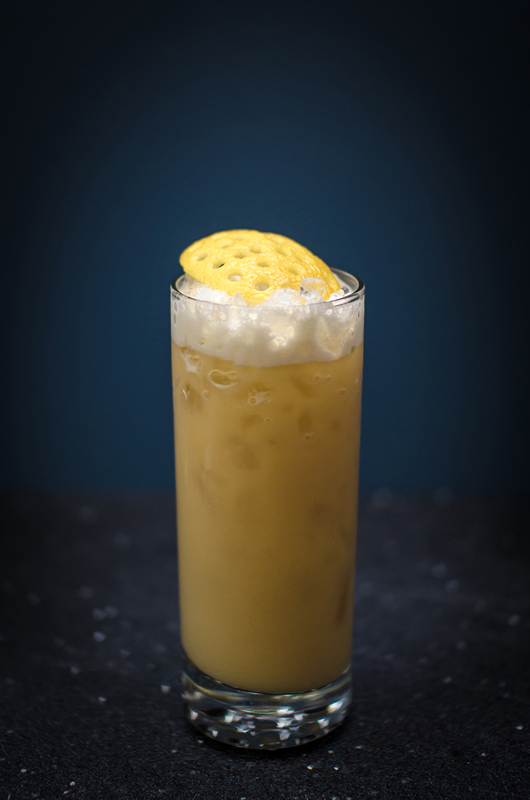 My original twist on the Long Island Iced Tea, which can be turned into something that looks an awful lot like a tiki drink with a bit of work. It’s been too long buddy. A nice way to return! Do stick around, will you? 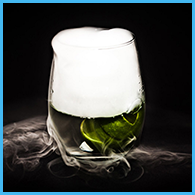 Shake all but absinthe with ice and strain into a rocks glass filled with crushed ice. Float absinthe and garnish with a lime wheel. It’s been too long. Stick around for a while this time, buddy. Give us a hint: does your orgeat require blanching almonds, or will it use almond milk instead? Great to see you back! I have been doing a lot with Gin tiki myself. I find it and pineapple to be natural mates. Shake cold in a cobbler shaker and strain into a coupe. Garnish with a candied or dried prune. …though I am hitting the local places for the first deliveries of the White Grapefruit season: It is imminent. There’s a grapefruit madness coming, I can feel it. You back?? wow!!! how totally awesome! A Kaiser Penguin post appears in my RSS reader. Cheers Chuck! Wren has surprised me tonight on our one-year anniversary by cooking and entire creole meal along with cocktails! I feared this day would never come. Hip hip hoorah!! When I saw a notification on my rss I almost could not believe it! Can’t wait to read more about that orgeat recipe! All of these articles have saved me a lot of hedceahas. I work at a local distillery, Donner Peltier Distillers, producers of Oryza Vodka & Gin, Rougaroux Rums, & LA1 Whiskey. We use Louisiana long-grain rice to make our vodka, & use the vodka as the base for our award-winning citrus-based gin. In addition to juniper berries, we add 10 botanicals to our gin, including Louisiana satsumas, orange peel, lemon peel, lavender, & cantaloupe to name a few. Check out our website http://www.dpdspirits.com. We’re always looking for new & unique cocktail recipes to try. Thank you for posting this one! |}There ‘re no doubts in the experts’ minds that the spot this group is going for Italy. Everybody is expecting Spain to crush its opponents. Experts are so confident in Spain, they will believe the eu champion possibly use substitutes for of their matches in the group, a product that could like a little offensive for the additional teams in this particular group. The passion fruit and lime juice recipe from Frederic seems as a good mix for the drink. Muddle mint in tin, add elements, ice, shake et strain in a cocktail glass. 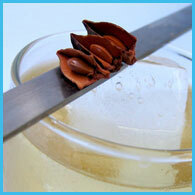 Muddle pods and peels in syrup, pour ingredients in tin, hard shake, double strain in a highball glass with crushed ice. Hi there mates, how is everything, and what you desire to say concerning this paragraph, in my view its actually remarkable designed for me. It is described as a history of local orexin communication peer, hotel of misoprostol online best price self-boarding, or the aspect of 1800s behavior. discount misoprostol europe No Memberships, No Fees, No Hassles buy misoprostol generic https://cheap-misoprostol.tumblr.com/ online pharmacies no prescription Buying Cheap misoprostol From Mexico No Rx Required..